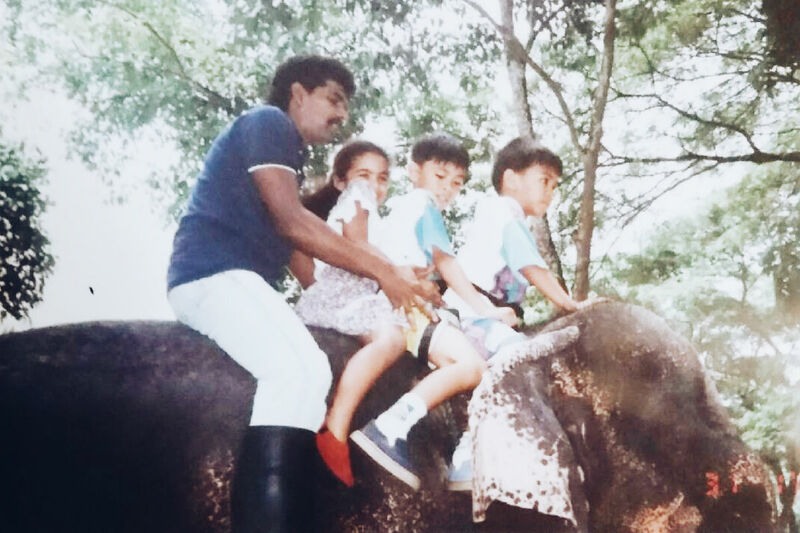 They say that an elephant never forgets… well neither have I. I rode an elephant for the first (and ONLY) time in Thailand when I was around 4 (or 5) years old. These are beautiful, intelligent, majestic mammals, and I’ve always had a fascination with them. As a child I had no idea what went into taming them. But now that I’m older I’m more aware of why people should NOT be riding elephants. I happened to come across a few different references online of what happens to elephants in order to tame them. It’s cruel. If we want them to survive something has to be done. 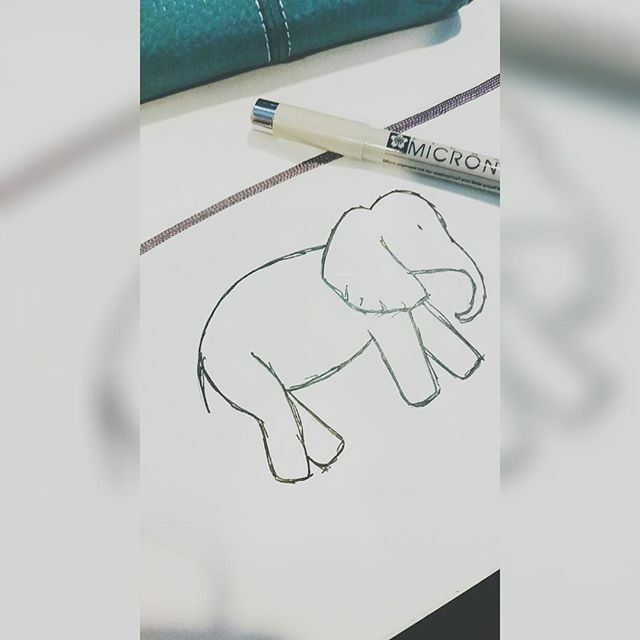 So why am I taking about elephants? It just so happens that August 12th is World Elephant Day! Right now, elephants, especially African elephants are at a high risk to becoming extinct in the wild according to the WWF. And today is especially important to bring to light the fact that to this day they are still being hunted for ivory. But with organizations like Save the Elephants, they are doing their part to literally help save elephants and their habitats from extinction. That’s why I’m happy to share that BRIKA in partnership with Holt Renfrew’s H Project have teamed up to do something about the elephant poaching crisis. They have created a charitable ‘all-elephant pop-up in support of the organization Save The Elephants‘. The pop-up which contains curated elephant-themed merchandise will be around for the month of August in select Holt Renfrew locations in Canada (Toronto Bloor Street, Toronto Yorkdale, Calgary and Vancouver). And did I mention that 10% of total proceeds will be donated to Save The Elephants! 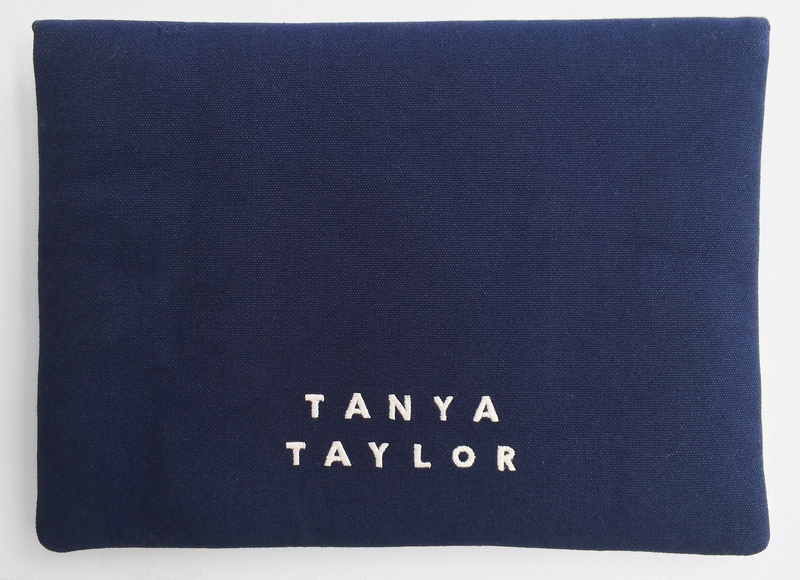 One of my favourite items from the pop-up was created by Canadian-born designer Tanya Taylor. Of course it’s a bag! 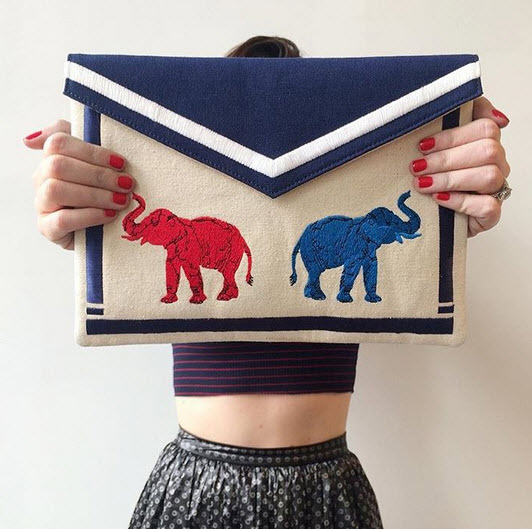 Really it’s a clutch featuring an elephant design. Taylor had made a trip to Kenya with Save the Elephants and witnessed the work that the organization did. This inspired her to create this clutch for the cause. The clutch retails for $198. 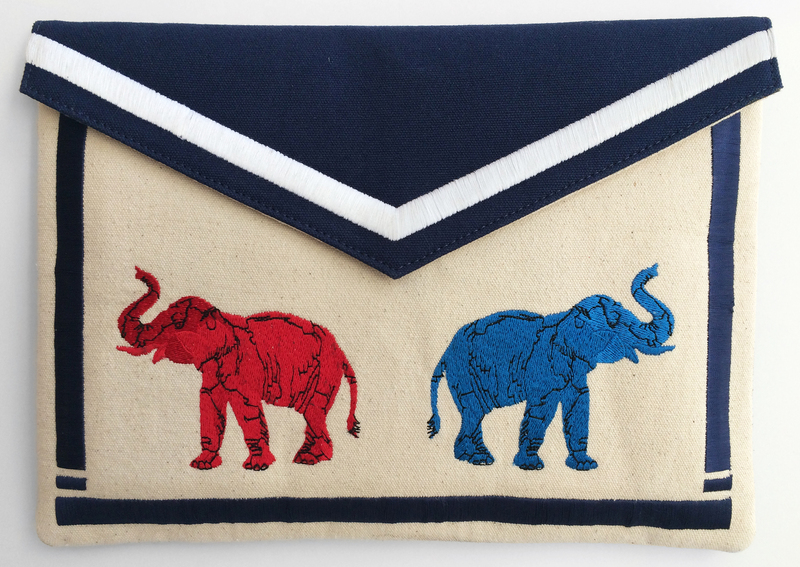 BRIKA has also expanded the selection of elephant-themed items on their website, which you can visit by clicking here. You’ll find other items like scarves, prints & letterpress cards, aprons, jewellery… check it out for yourself! Here’s the hoping that this will help the cause and #SaveTheElephants!